The refining and matting 24 hour cream is multiple impressiveness: Refining of pores, matting of oily complexion and overall refreshing of appearance. You can see immediately visible results with DR. GRANDEL Optimize: smooth complexion and a convincingly beautiful radiation. In the morning and evening apply to cleaned skin of face, throat and décolleté. Then wash hands. TIP: Can also be used as a concentrate: In the morning and evening apply to cleaned skin of face, throat and décolleté and leave on for a short while in order to be absorbed. 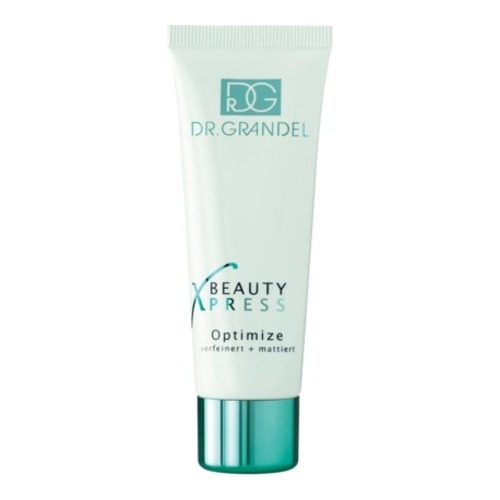 Leave eye zone free, then apply a suitable DR. GRANDEL skin care product. Wash hands. A spa recommended this product to me after a facial. Love it so much. I need more moisturizer in the winter, so I use this in addition to my regular product. What I love most about it, is that it is slightly tinted, so not only does it even out the complexion, but it gives a subtle glow, which is nice in the wintertime, esp b/c I don''t like foundation. Just wash your hands after application, as it will tint your hands! !